HEY HEY HEY My Little Sweeties♥ :3 I know you miss me so I purposely put my 'big head' photo with my super big & bright eye looking at you. HAHAAHAH ((just joking)) Since the previous post about Mary Kay® Fairytales & Fantasy Collection some of you had inbox me asking what contact lens I'm wearing in that blog post. FYI, I have no much chance to wear color contact lens like this. 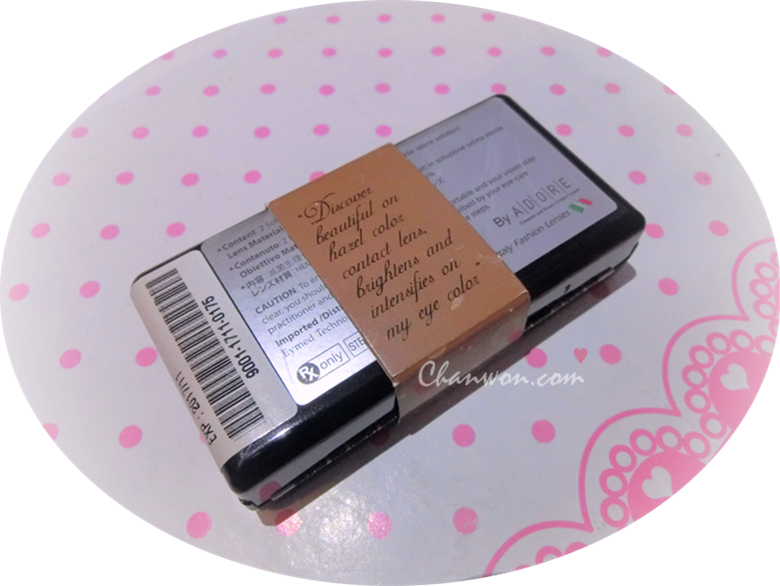 Until now I'm still wearing my ADORE IMAGENE brown & grey color ((review> click here)) I think I'm their super loyal buyer. Almost half year because as I mentioned it's super natural even it's brown color it's not those light brown or obvious brown color lens~ I just love the natural beauty of that lens! Surprisingly, recently I got another collaboration with them. They came out with another new series of contact lens which is totally diff from the one I'm wearing. 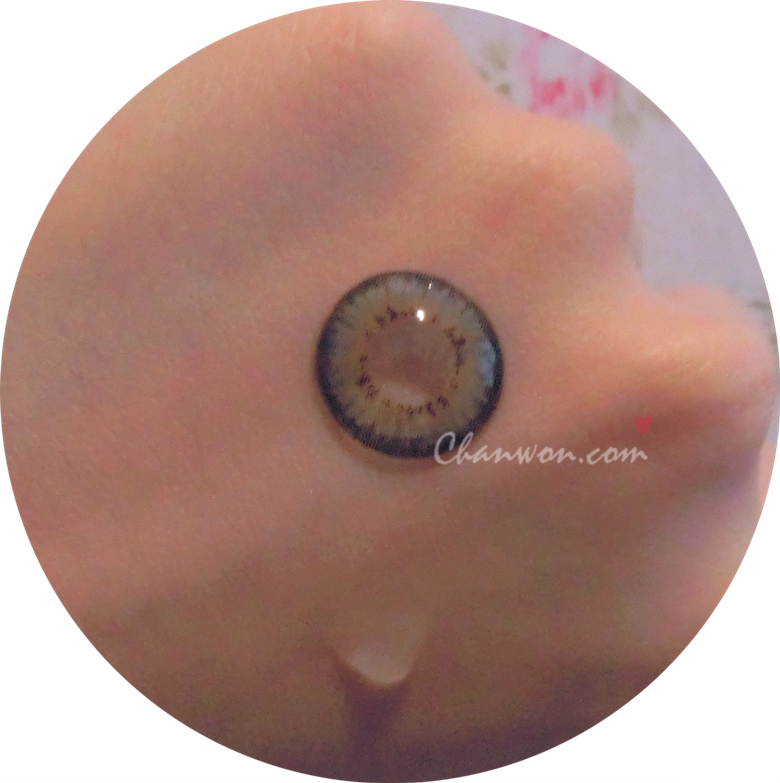 This is the contact lens I'm going to blog about it. 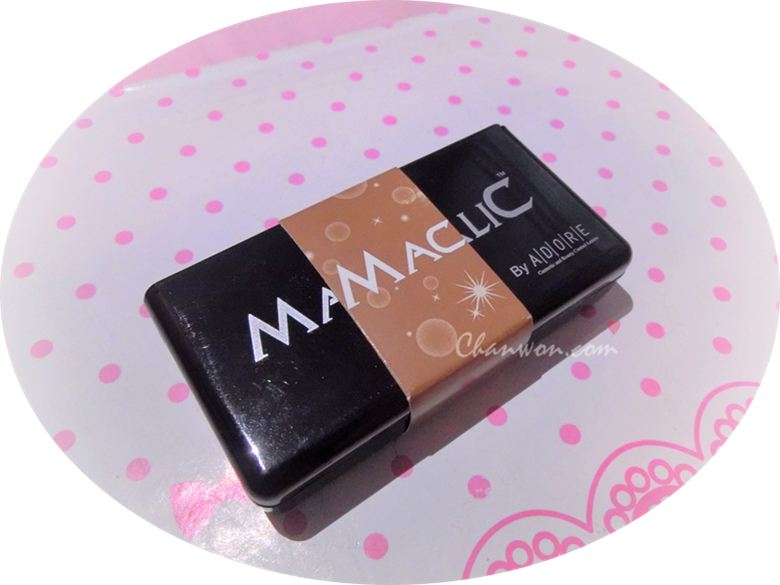 It's Adore ♥Macttalic♥ color contact lens. Since some of you might not prefer those natural color (not obvious color contact lens) FINALLY Adore came out with a new series which targeting those who prefer color contact lens which is much more obvious than the previous one. 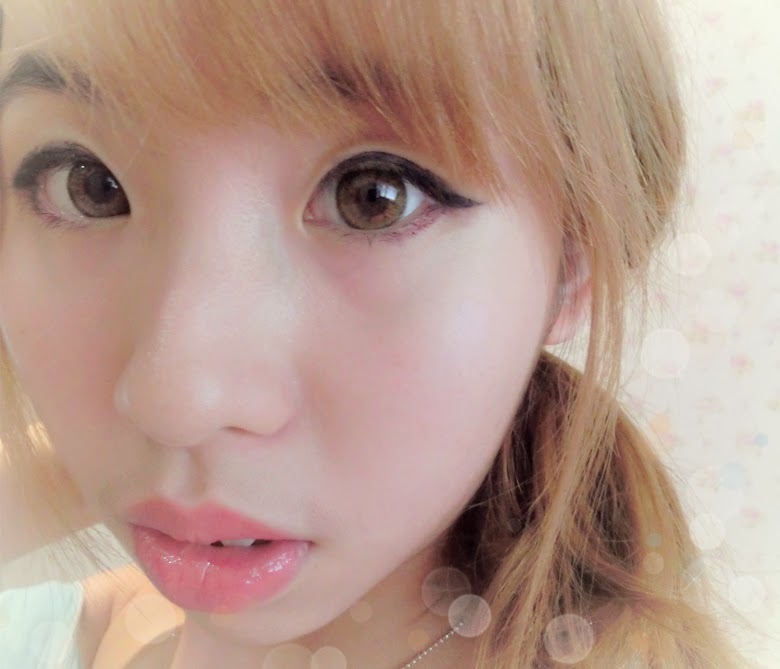 I'm not that kind of prefer obvious color because I'm afraid I look weird or look like alien with that kind of color lens but normally color contact lens will make our eyes look much more attractive♥and MATURE LEVEL UP UP♥if you match with a super gorgeous dress with your full make up on it. I'm quite shocked then I actually can accept this color range and the obvious level of this series. But Still I dislike blue weird alien eyes! Lol so I picked two super 'safe' color which is grey & hazel (brown). I think you better pick this kind of basic color if you can't accept others because most brown and grey look still nice even on our Asian eyes. I can't accept myself wearing green color lens because it's just so weird maybe I don't have a super tall nose and also super big eyes & that's why end up I picked this two color. Besides, it's designed to breathe new excitement into your style and make you stand out♥. In this series of ADORE Macttalic there are 5 color available for you to choose. Okie first♥ I will have some close up photo which shows my eye before wearing any contact lens & after wearing it. I put it in a diagram form so that you can see the diff easily. The one on the left is their Grey Color & another one on the right side will be their Hazel Color. From the photo above you can slightly have some idea on it. I feel like the grey color is much more obvious than the brown color. The grey color diameter color is more obvious than the hazel one. Am I Right? Then here's some detail of ADORE Macttalic Contact Lens. 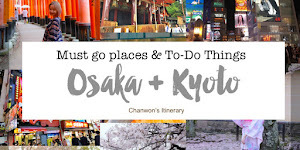 This is not just a review post because we have another [GIVEAWAY] as my 2nd X'mas Present for all of my sweeties. 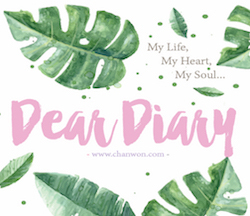 For those who didn't win from the previous giveaway don't worry there are always a giveaway on my blog. I still have another 3 giveaway for all of you!! Don't worry just keep your luck for me k? :3 So let's get started !!! I will start with one by one separately show you each color and how it look like - with/ without flash. Then after all I will conclude my pros & cons on this lens and my own ideas & opinions too. Wooohooo!! Let's see how their packaging? They remain the same packaging idea like their Imagene series! 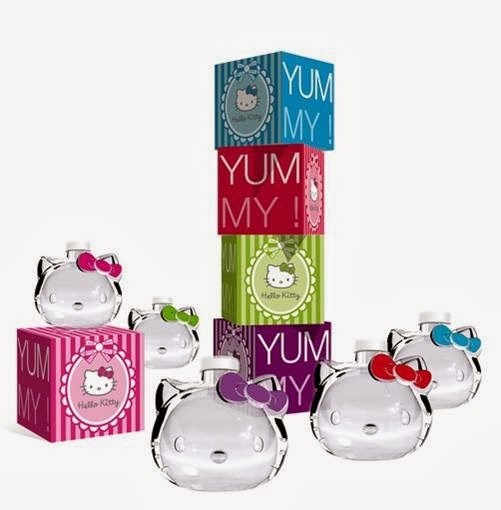 I just love that :) But this series their box is black color not grey one. Other than that it added on a color label to hold and lock the box nicely. Even their design is grey the inner diameter still added on a light brown layer color so your eye will look natural with the grey combination. I think no need to say so much because I mentioned just now the color is very obvious!It's the purpose of wearing colored contact lens. 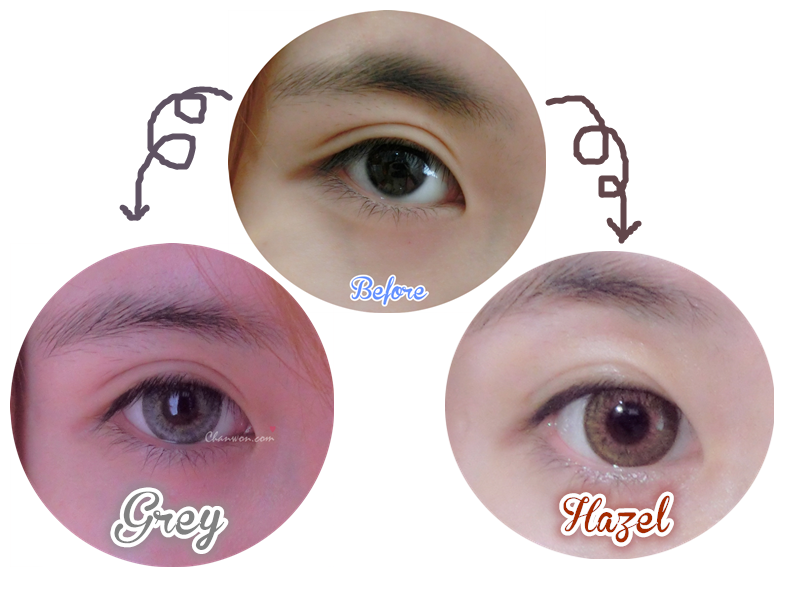 Grey color not as natural as Hazel on my eyes but Grey color look much more obvious than Hazel in term of its color. 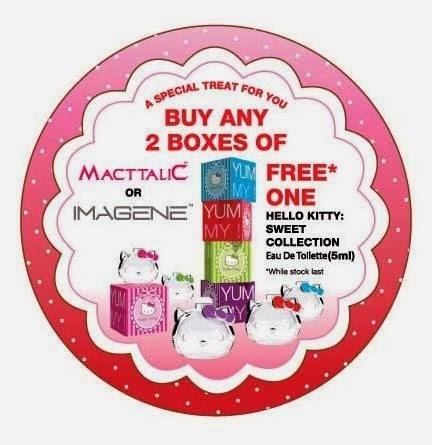 Buy Any 2 Boxes Of Imagene Or Macttalic FREE ONE HELLO KITTY EAU DE TOILETTE (5ml) The promotion will kick off at 25th November 2013 (While Stock Last) This promotion ONLY apply in Focus Point group. Each week they have special color collection!!!! 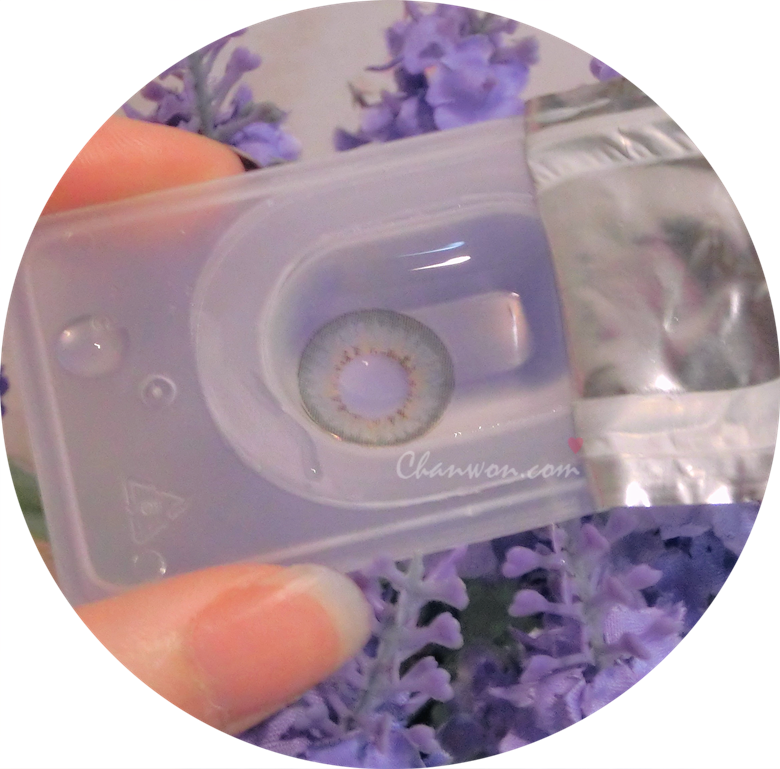 Comment on your blog post to the question: "Why do you want a pair of MACTTALIC contact lens?" including their name and email address. Winners will be contacted by us by 31st of DEC 2013.